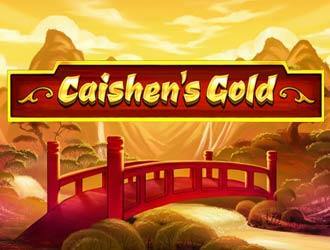 Caishens Gold is a slot designed by Pragmatic Play and is based on the God of Wealth in China. Well, he might give you some luck while spinning reels. The slot has 5 reels, 3 rows along with 243 ways in which you can win. The reels are gold-framed and are set against a beautiful sunny landscape. The symbols in Caishens Gold having higher value include a baby girl, a cute baby boy, a pretty lotus flower, an instrument with strings and a conventional fan along with the playing cards A, K, J, Q, 9 and 10 which are the low-paying symbols. The wild symbol is the main character of the slot i.e. Caishen himself. It can show up on reels 2, 3, 4 and 5 and can substitute all the other symbols in order to create winning combos apart from the scatter symbol which is a golden gong. Each time the wild shows up on the reels, the Jackpot has a chance of getting triggered. When the wild appears, an all-new screen gets opened up with 12 coins on display and out of them, you will have to keep choosing until three identical symbols get revealed. These symbols will tell which jackpot out of Grand, Major, Minor and Mini will get initiated. All these jackpots have fixed prizes attached to them and will fetch you prizes worth 1000x, 100x, 50x and 30x the amount at stake. The Free Spins round will get activated when at least 3 scatters land on the reels in the left-right direction and once this feature gets triggered, free spins up to 10 will be awarded. These spins can be triggered repeatedly and that too as many times you want. During the free spins round, the symbols having higher value only i.e. scatters as well as wilds will be present on the reels. Though the slot’s design is similar to other slots from the same developer, the bonus rounds are pretty cool to play with. With medium variance and 243 winning ways, there is enough potential to play it big. The high-quality visuals possess an idiosyncratic style. With a return to player percentage of 97.08%, the slot Caishens Gold is worth a try for sure.